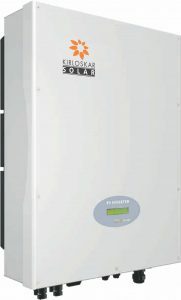 The Kirloskar offers a comprehensive range of solar inverters, from 1kW to 60kW. 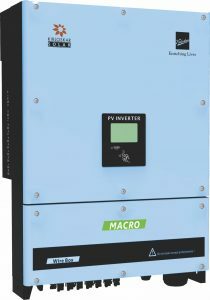 Inverters an ideal solar system solution for private homes, including small roof as well as ideal for commercial roofs and large distribution projects. User Friendly: Compact design, easy installation and transport -Sound control for easy operation -Smart cooling design. LCD Screen to monitor performance.